This casual yet elegent designer Modi kurta by JadeBlue can surely give your look a complementary touch. Crafted with amazing color scheme, it is the best pick for simplicity lovers. A must-have in your wardrobe, Modi Kurta is an iconic style statement for all generations. Available in many colors in half sleeve and full sleeve styles on our storefront. Buy one in every color. Keep calm and wear Modi Kurta, even as the temperature soars! 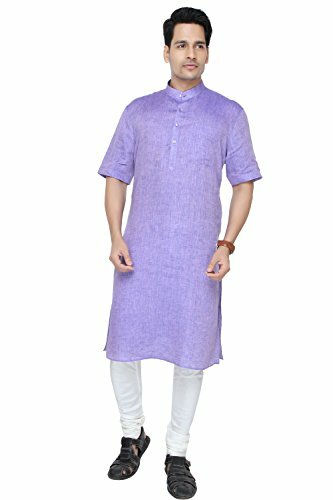 Modi Kurta is an iconic style statement for all generations, this is the official name brand product and is endorsed by Narendra Modi. This listing is for Kurta top only. Churidar pants not included but can be purchased separately on our storefront. Perfect for Indian weddings, ceremonies, pujas, parties, temple visits and everything in between. If you have any questions about this product by JadeBlue, contact us by completing and submitting the form below. If you are looking for a specif part number, please include it with your message.